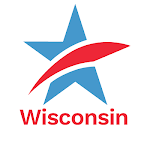 Common Cause Wisconsin: TODAY is Election Day in Wisconsin! TODAY is Election Day in Wisconsin! 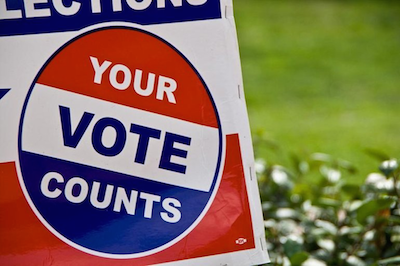 Non-partisan Spring elections may seem to be "less important" than November elections, but that is certainly not the case this year. Today is the most important election of 2019. There is much at stake. Today, Wisconsin voters will choose a a replacement for retiring State Supreme Court Justice Shirley Abrahamson to serve on our state's highest court. Voters will also select new school board members and other local officials – individuals who make decisions that can have a direct and profound impact on our local communities. Further, because Spring elections tend to have lower turnout, your vote carries even more weight in determining the election's outcome. So please do not miss this chance to make your voice heard at the ballot box in a big way. Look over the information below to make sure you have what you need to vote in this important election. Polls are open today from 7:00 AM until 8:00 PM. When you vote, you will need to present one of the acceptable forms of photo ID for voting pictured left. What if you don't have an acceptable ID for voting on Election Day? You can ask for AND vote with a provisional ballot. But, for your ballot to be counted, you MUST either come back to your polling place with an acceptable form of ID before it closes at 8:00 pm tonight OR bring your ID to your municipal clerk's office by 4:00 pm this Friday (April 5th). For more information about voter photo ID – and how to get a free ID if you don't have an ID acceptable for voting – see our downloadable voter ID fact sheet. Or visit the Wisconsin Election Commission's voter photo ID website: Bring It to the Ballot. If you do not have an acceptable ID for voting and need help getting one, contact this statewide Voter ID Hotline #s: 608/285-2141 or 414/882-8622. Are you a college student planning to use your student ID for voting? To find out where to go to cast your ballot, visit the "Find My Polling Place" page on the Wisconsin Election Commission's My Vote Wisconsin website and type in your address. Visit the Wisconsin Election Commission's "What's on My Ballot" page and type in your address to see a sample ballot. Remember: every election provides us all with a chance to strengthen the health of our democracy. Get ready NOW and go vote! TODAY is Election Day in Wisconsin! Tweet this!